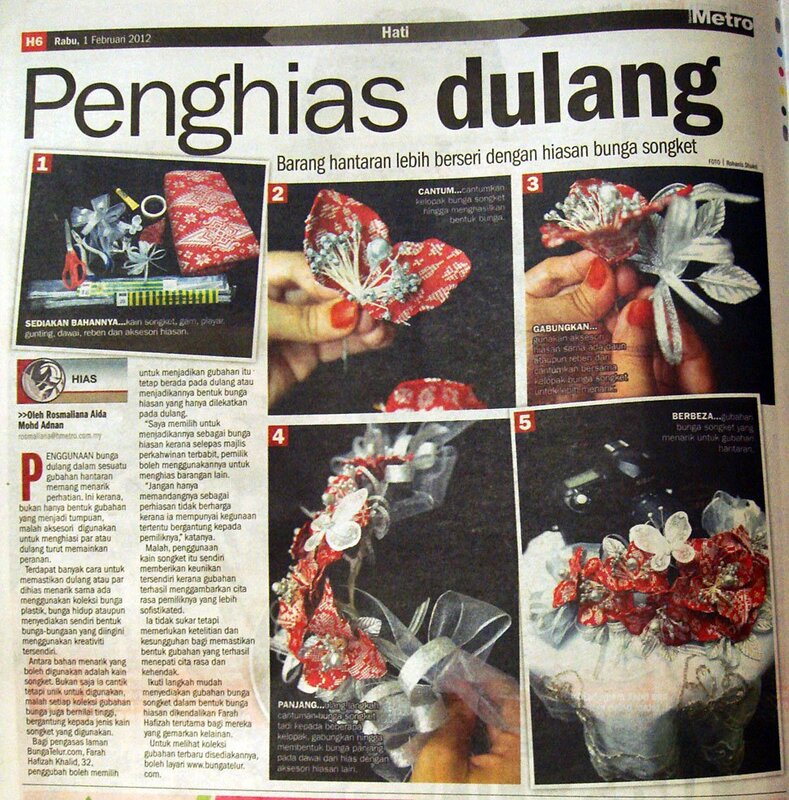 This came out on 1st February 2012 in Harian Metro. Please click to view a bigger picture. 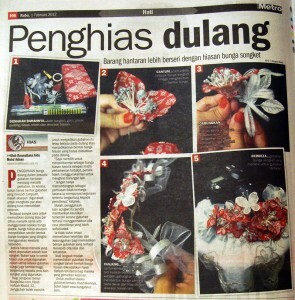 For this demo, I used bunga dulang made from red songket to decorate the gubahan hantaran.